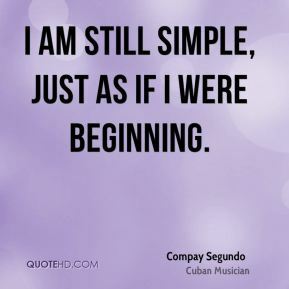 I am still simple, just as if I were beginning. 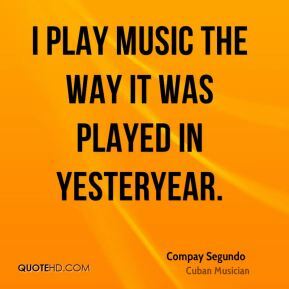 I play music the way it was played in yesteryear. 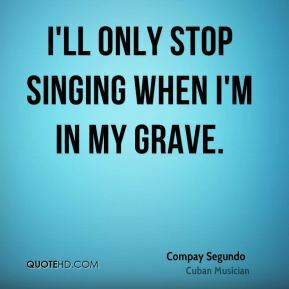 I'll only stop singing when I'm in my grave. 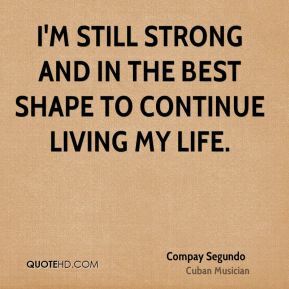 I'm still strong and in the best shape to continue living my life. 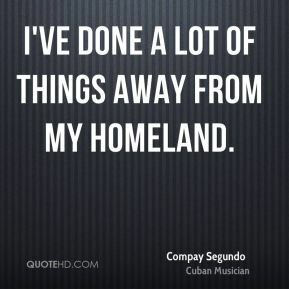 I've done a lot of things away from my homeland. 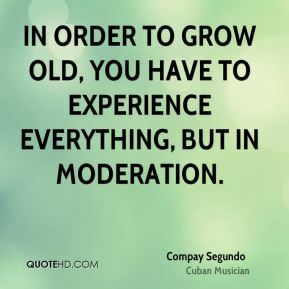 In order to grow old, you have to experience everything, but in moderation. 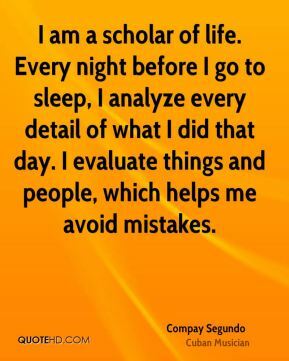 My secret? 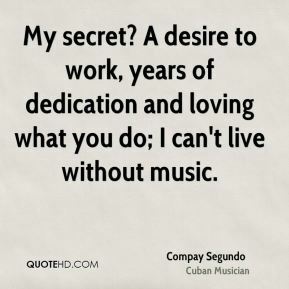 A desire to work, years of dedication and loving what you do; I can't live without music. 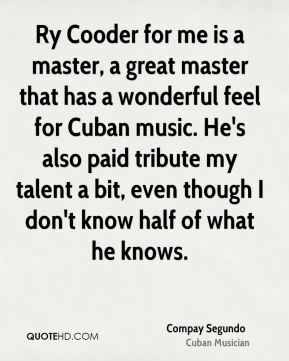 Ry Cooder for me is a master, a great master that has a wonderful feel for Cuban music. He's also paid tribute my talent a bit, even though I don't know half of what he knows. 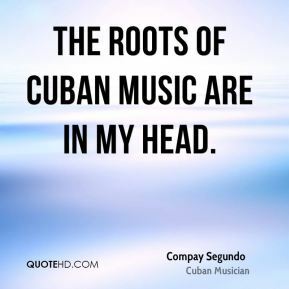 The roots of Cuban music are in my head. 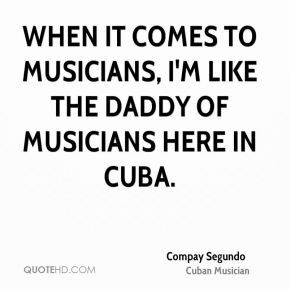 When it comes to musicians, I'm like the daddy of musicians here in Cuba. 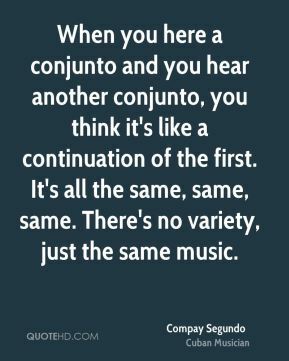 When you here a conjunto and you hear another conjunto, you think it's like a continuation of the first. It's all the same, same, same. 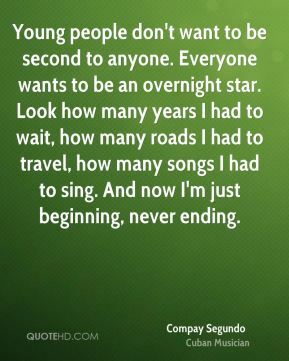 There's no variety, just the same music. 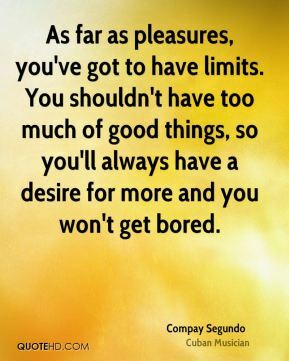 As far as pleasures, you've got to have limits. 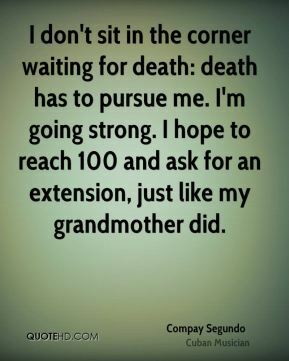 You shouldn't have too much of good things, so you'll always have a desire for more and you won't get bored. 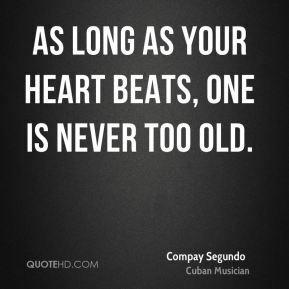 As long as your heart beats, one is never too old. 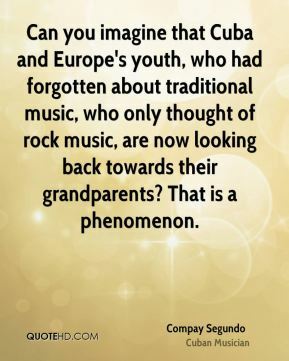 Can you imagine that Cuba and Europe's youth, who had forgotten about traditional music, who only thought of rock music, are now looking back towards their grandparents? That is a phenomenon. 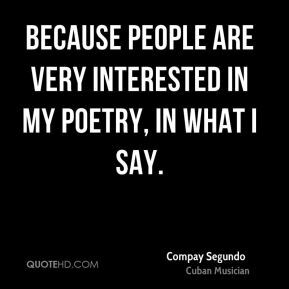 Every time I talk about this, I say: when the singer is singing, he must be respected, you must be able to hear what he's saying. 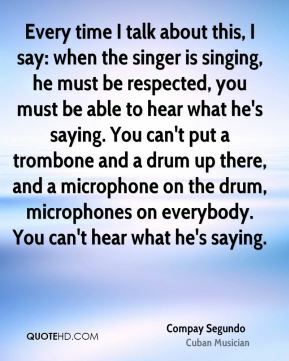 You can't put a trombone and a drum up there, and a microphone on the drum, microphones on everybody. You can't hear what he's saying. 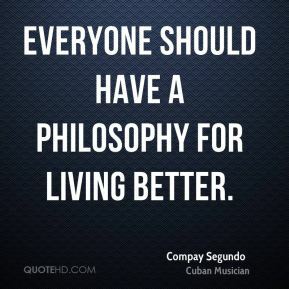 Everyone should have a philosophy for living better.